[Pre-1750. Seedstock from Monticello.] 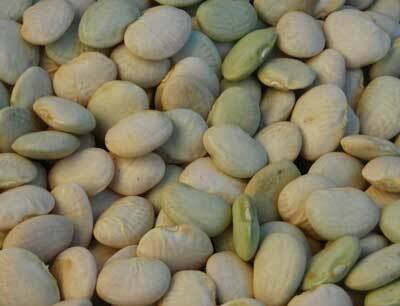 Lima beans were a summertime favorite of Thomas Jefferson. This small, plump white lima has great flavor. 3-4 seeds/pod. Vigorous, drought tolerant vines can grow 9-10 ft. tall, need a sturdy trellis. Pkt (~59 seeds).